I've heard a rumor that I'm having a hard time believing. ... the new injection systems will provide near 45% more power for the same amount of fuel or the same amount of power using 45% less fuel. If we assume that we're talking about a diesel engine that is what, about 30% efficient at it's best, that would imply that by doing nothing other than modifying the injectors, they can increase the efficiency to 44%. I'm skeptical, too. 10% - 20% - maybe. 45% increase? I dunno. A "normal" diesel has a THEORETICAL maximum efficiency of about 56%. Personally, I think it would take a LOT more than just a change of injectors (much higher compression ratio, much higher temperatures, etc.) to get the efficiency up that high. But hey - I'm no engine expert, and I'd love to be proved wrong. BMW and Toyota are about to introduce direct injection for gasoline engines. Data I've read said something like an 8% economy gain over port injection and possible gains in power of around the same amount due to the higher CRs possible. The thermal efficiency of an engine is tied to a large degree by the CR. 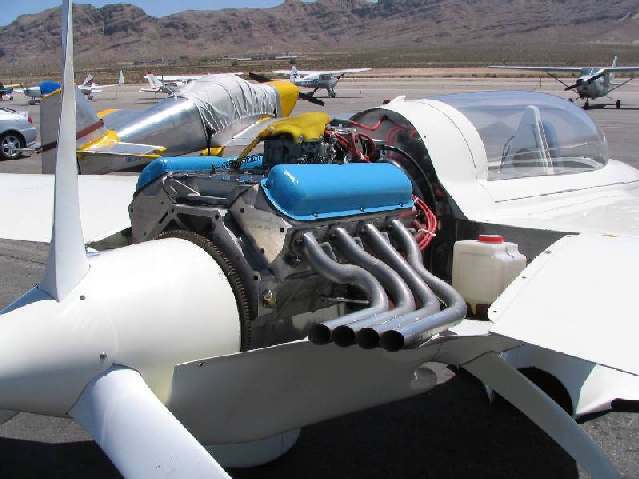 It's unlikely than even a turbo compounded, high compresssion Otto cycle engine could ever exceed 35-40%. Power is a direct function of the mass of fuel/ air mixture reacted per unit time. While modern technologies like direct injection can allow very lean mixtures to be ignited and lead to possible efficiency gains at part throttle, the first law here cannot be changed. Power output falls off quickly as the AFR goes leaner than about 15 to 1. Air does not react without fuel. I'll have to see this to believe it. The Diesel will be dead if this is true. Throttle plates, valve springs, camshafts and port type injectors may all be history in 10 years on new gasoline engines though. He was probably talking about a wholesale conversion from solenoid activated injectors to piezoelectric ones with their concomitant advantages: higher injection pressures = finer atomization of fuel, shorter response times = multiple injections per combustion event. More power yes, better efficiency yes, 50% improvement I doubt it, more like 15%, if that. Nippon Denso, used by Japanese manufacturers, are closely following too. All these new technologies, however, depend on clean, sulphur-free diesel, absent until now in the US, about to be mandated by EPA regulations in late 2006. Shouldn't there be a big gear shifter sticking out through the top of the canopy? Would that make it a "Rat Fink-EZ"! That should date me, huh? That would be the "Big Daddy Roth" cat-eze. Hurst 8 ball through the roof and a healthy dosage of Visine needed by the pilot! Ed “Big Daddy” Roth died in 2001, but his works live on to remind us of an important period of social change, and inspire those who seek to embrace their own spirit of nonconformity.